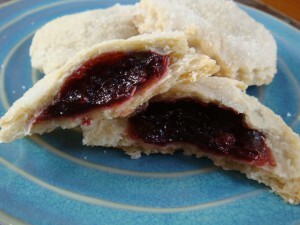 Brambles are cookies filled with a raspberry jam. The crust is light and flakey and I was told by the owner that the recipe is essentially pie crust… so there is no egg in it (for those of you with food allergies). 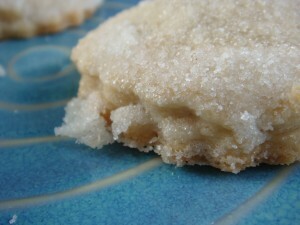 The top of the cookie is encrusted in granulated sugar and adds a nice crunchy texture to them. I’ve read several comments on Chowhound and Yelp about the orignal Brambles that Hanley’s Bakery carried (which formerly occupied the space that Sugar is now in). Many of the comments say that Sugar’s Brambles aren’t nearly as good as Hanley’s were… but I never had Hanleys and all I can say about Sugar’s version is that they are quite delcious! The filling is sweet and tart and void of any seeds. This seems to be one complaint that folks have… as it changes the texture. Many folks also commented on the fact that the filling in the newer version isn’t ast “authentic”. Whatever the case, my family loves these cookies and we barely can resist an opportunity to pick up a [baker’s] dozen whenever we get take out from the Real Deal. The other items that we particularly enjoy at Sugar are the Peanut Butter Cookies (which aren’t available very often), the Sicilian Pizza Slices (which are also hardly ever there) and then the plain layer cakes, carrot cake and brownies. 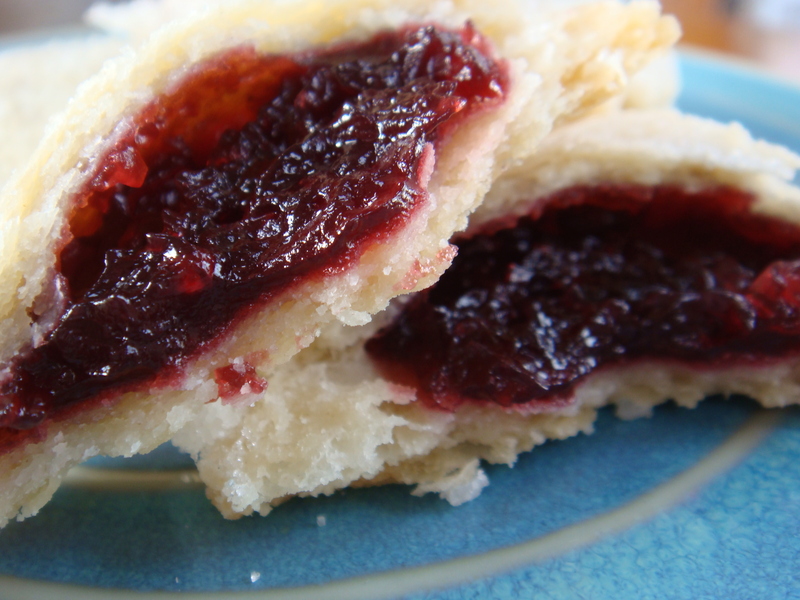 Some of the confections are a bit too sweet for me — but this is true of all bakery items. I find that bakerys tend to make pastries too sweet and to intense. I like more subtle desserts most of the time. Sugar has a large selection of cup cakes as well… and the kids seem to love them. They are a bit over-priced, but really no worse than the “Delux Cupcakes” that Roche Brother’ssellsf ro $3.99 a pop!